China's anti-graft campaign continues to be intense, with 163,000 people punished for violating Party and political discipline in the first half of 2016, even as those under inspection come up with creative ways to avoid detection. Those who forge, destroy or hide evidence; stop others providing evidence; and act against inspectors may be warned and even expelled from the Party, according to article 57 of the Communist Party of China Disciplinary Regulations. Common ways to interfere with inspections include giving officials a "heads-up," warning them watch their language and work during the inspection period. For example, one State-owned enterprise warned staff at an internal meeting not to play golf during the investigation period, according to the website of the Communist Party of China Central Commission for Discipline Inspection (CCDI). In addition, during inspections some government and Party bodies arrange for "troublemakers," or those who often complain or make suggestions, to take vacations, or business trips abroad and even transfer them to other organs, Zhuang Deshui, a deputy director of Peking University's anti-corruption research center, told the Global Times on Tuesday. The CCDI added that some of the inspected also intentionally provide poor working and living conditions for inspectors during their stay, such as feeding them horrible meals, suddenly painting their walls or using chainsaws to make noise, hoping to make the inspectors leave early. Some inspection teams choose to live in hotels to avoid such interference, Gan Chaoying, a law professor with Peking University, told the Global Times on Tuesday. In October 2014, the Party chief of a county in North China's Shanxi Province ordered his subordinates to make sure that surveillance cameras were installed near tip-off boxes so as to identify whistle blowers, the CCDI said. The local public security bureau also sent personnel to patrol a hotel in which another tip-off box was set up. The interference also includes threats. Qi Peiwen, a former inspection team leader, said that he received a letter saying "There's nothing you can do and just take it easy, or you will end up in bad situation," The Beijing Times reported. In April 2014, over 100 government officials in Zhengzhou, capital of Central China's Henan Province surrounded a hotel where a central inspection team were staying to "stop those who 'abnormally' tried to enter the hotel so as to 'protect the inspectors.'" Officials may also act in an over-the-top way. Feng Limei, former head of the political advisory body of Maoming in South China's Guangdong Province, shouted "How dare you take money from people" at his wife and slapped her face in front of other officials when they were returning bribes worth 2.5 million yuan ($370,000), expecting to walk away from any inspection, The Beijing Times reported in December 2015. Feng was expelled from the Party for severely violating Party discipline and was prosecuted in December 2015. Inspectors needs to think outside of the box and be very creative, as information about their working procedures and approaches are easy to collect, said Zhuang. He said that "mystery shoppers," or inspectors pretending to be normal people, could be used to examine the everyday attitude and work efficiency of government bodies. Technology such as big data could also help inspectors run crosschecks on documents including financial statements and meeting records so as to notice abnormalities, said Zhuang, adding that big data could also help identify and analyze where corruption is most common. Interference with inspectors' work is not surprising, as sending inspections teams has become a normal method to bust graft from the central to the local levels, said Gan. Between 2012 and January this year, the CCDI has sent over 100 inspection teams to 149 government bodies or Party organizations, reported the China Discipline Inspection Daily, a newspaper under the CCDI. The report noted that in all the cases investigated by the CCDI, half of the clues were collected by inspectors. 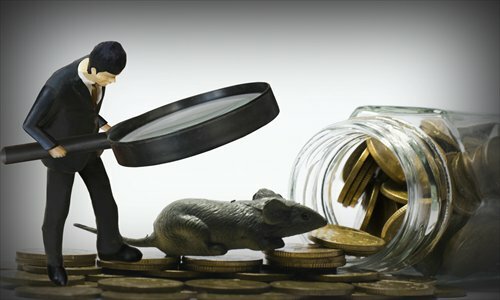 It added that a poll from the National Bureau of Statistics in 2015 found that about 86.3 percent of the 26,400 households in 22 provinces surveyed said they believe CCDI inspections have a great influence on deterring and busting corruption, a 3.1 percent increase on the previous year. The top anti-graft body will inspect more than 130 government or Party organs in 2016 and 2017, the report said.